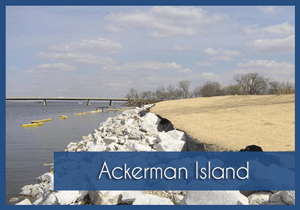 Ackerman Island is the original three-cell re-useable hydraulic dredge drying site built in the early 1980’s. 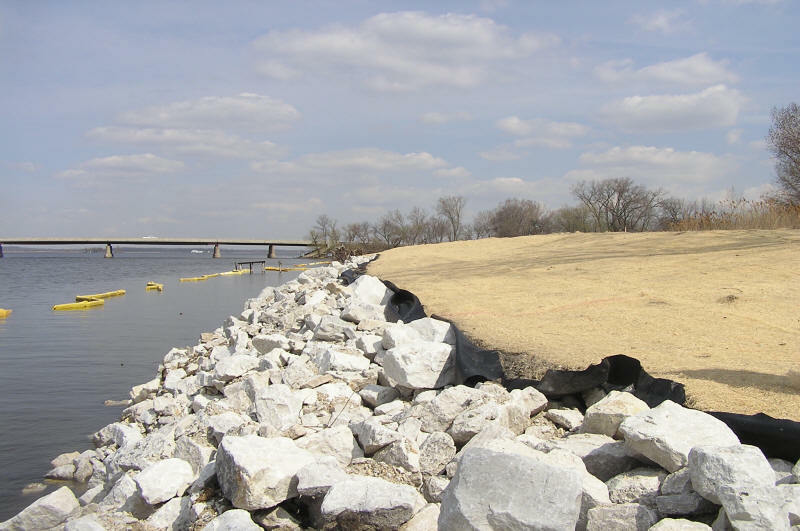 Throughout its use, it had experienced severe shoreline erosion along its west and northwest shorelines that had impacted the structural integrity of the levee system surrounding the cells. 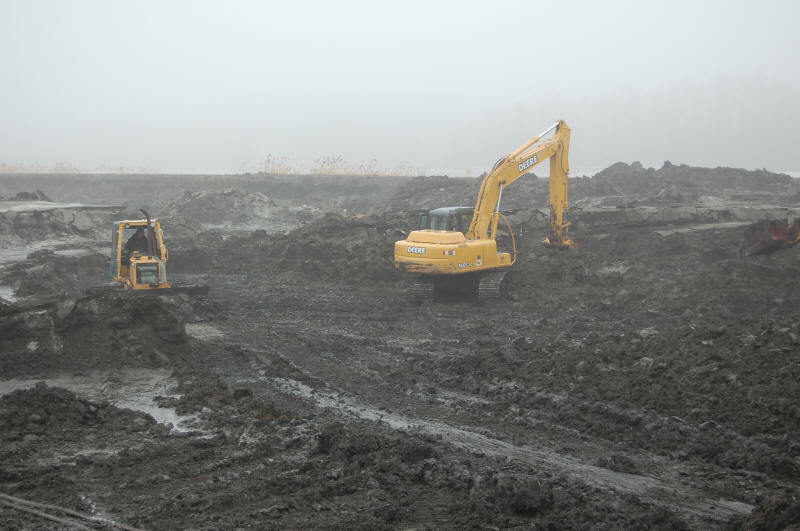 The Fox Waterway Agency secured Smith Engineering to re-engineer this island for modern use. 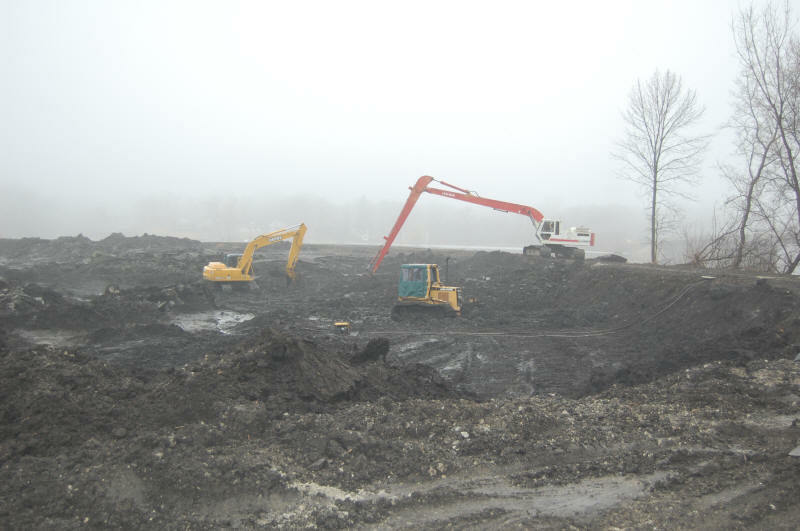 In Spring/Summer 2007 we completed our Ackerman Island Dewatering Facility Improvements Project. 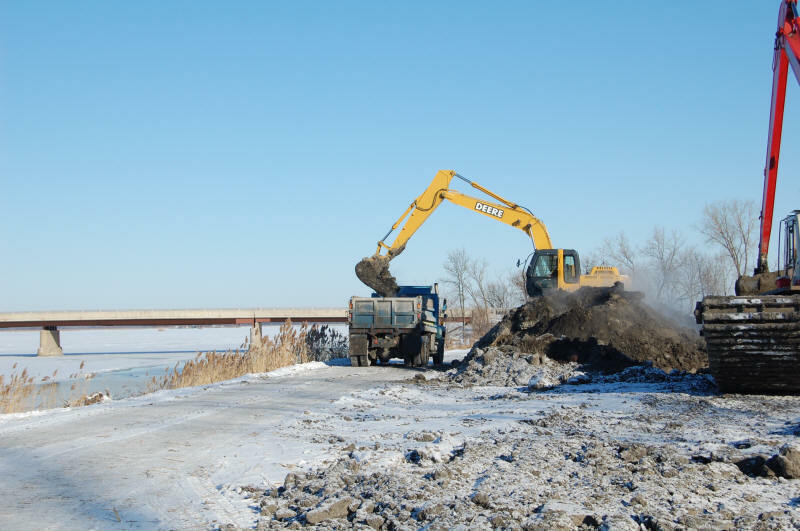 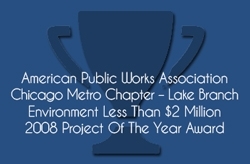 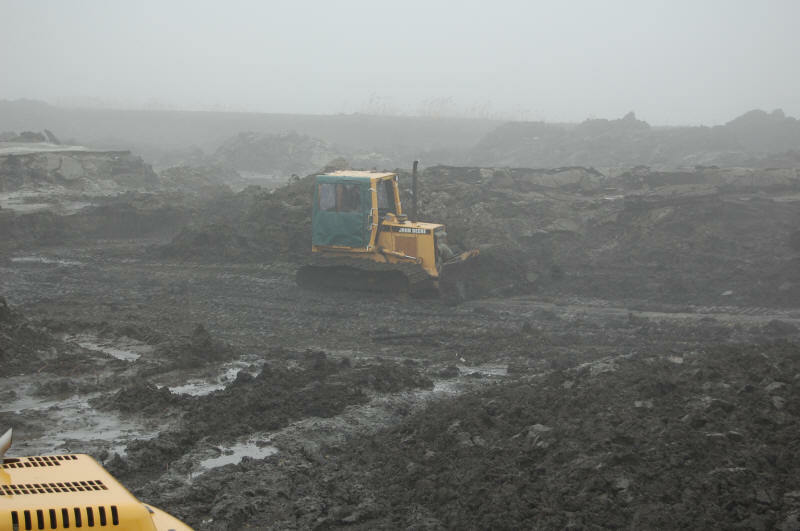 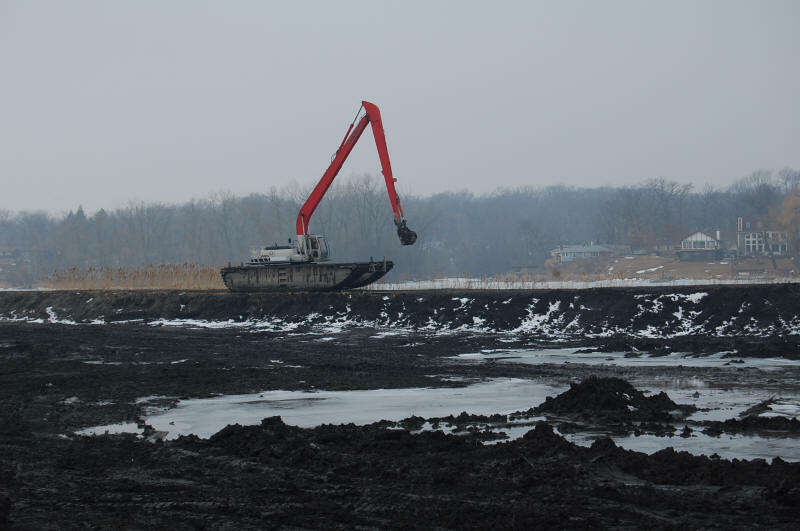 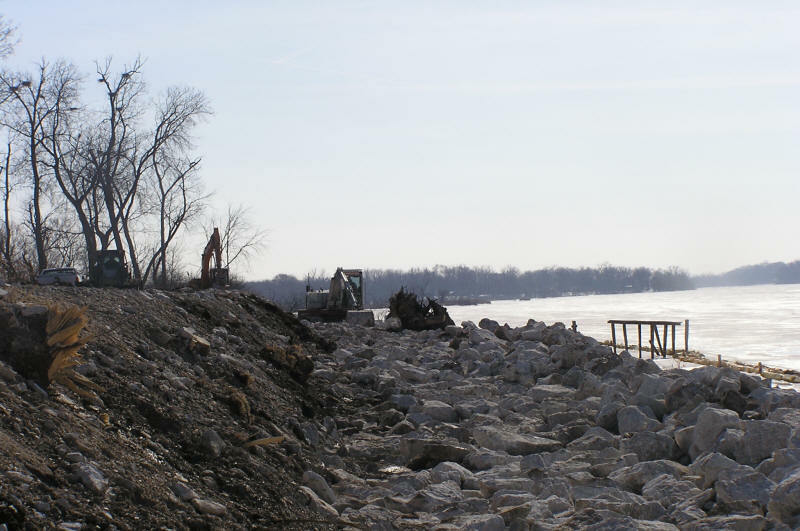 The project consisted on contracting shoreline stabilization along the west and northwest sides with 2,123 cy of clay. 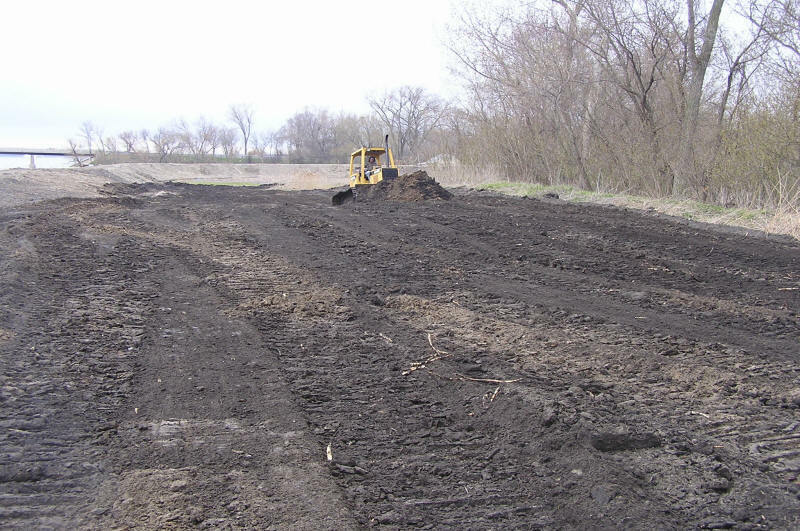 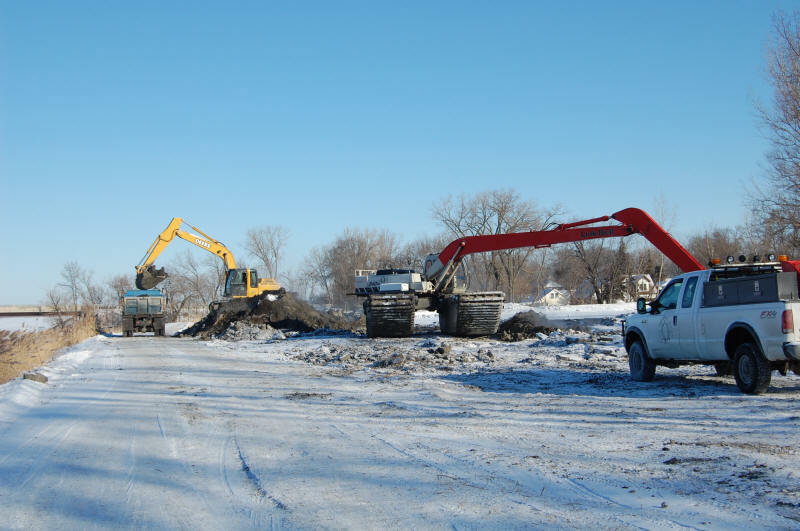 0.6 acres of tree removal, 1,128 tons of rip rap, 933 cy of topsoil, approximately 6 root wads, and 875 sq yd of seeding, upgrading the access road to the island, and reconstructing the weir (de-watering outlet structure). 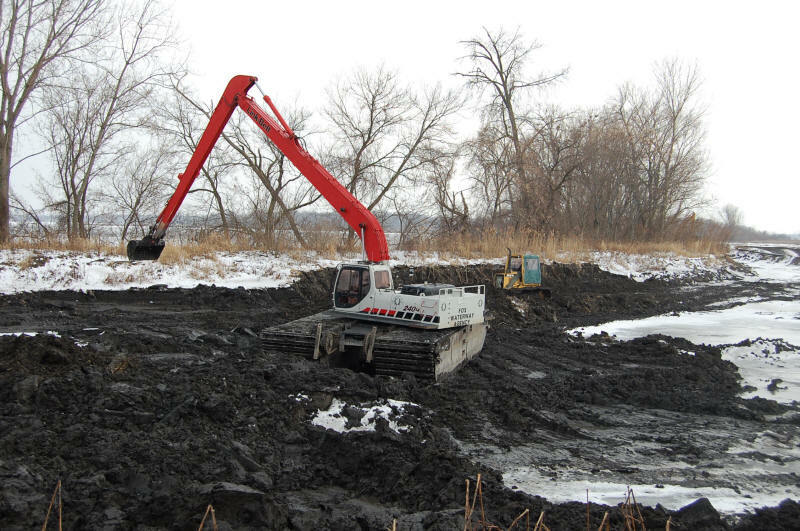 Commercial grade reusable site, which co-exists with nature. 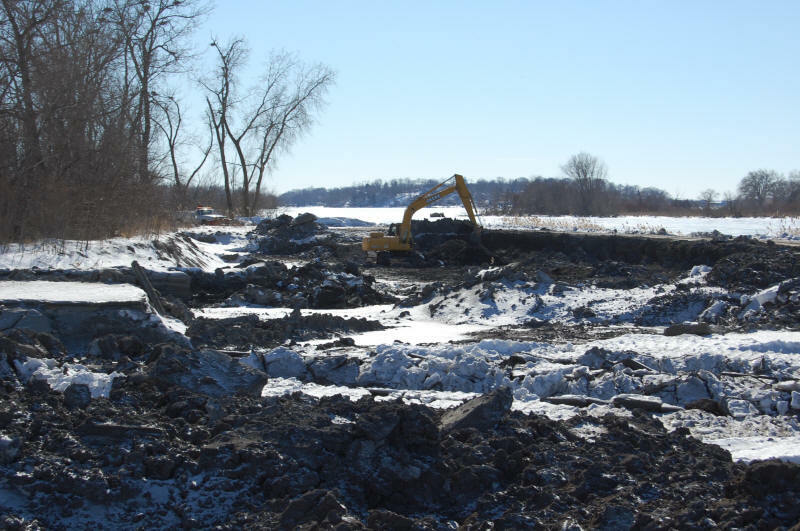 A rookery of eagles, blue herons and other water birds, as well as high quality fishing habitat.